KAMPALA – The Forum for Democratic Change (FDC) party has announced an audit of the members of the party to establish their allegiance after former party president Maj. Gen. (Rtd) Mugisha Muntu quit the opposition party. In October 1 letter, Secretary General Nathan Nandala Mafabi directs all party leaders to indicate in writing whether they still belong to the Patrick Amuriat-led party. Failure to do so within fourteen (14) days will be treated as a renouncement of party membership. “The party has been informed that the Hon. Maj. Gen. (Rtd) Mugisha Muntu, former Party President has renounced his membership to the Party. He has also announced the formation of a parallel political entity known as the ‘New Formation’ in preparation for a Political Party. Some members of the party have express intentions of pursuing alternative political directions,” the letter reads in the party. 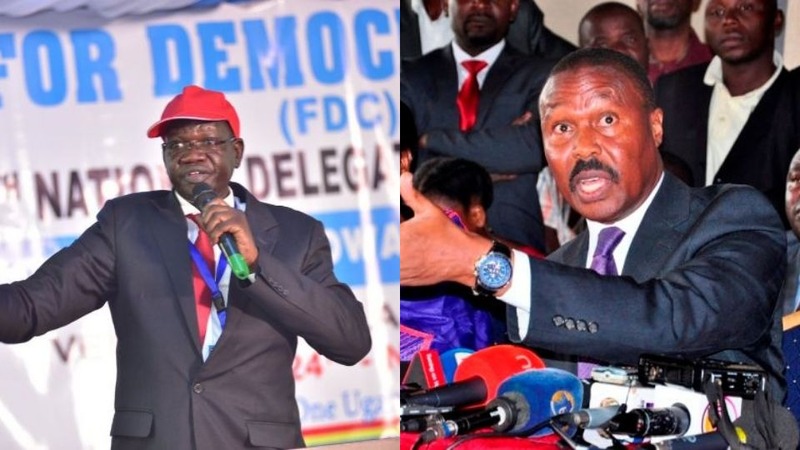 Party spokesperson Ibrahim Ssemujju Nganda on Monday said party officials cannot be on two sides; serving FDC and at the same time serving Gen Muntu. “All those who want to go with Muntu should publically announce their departure and also inform the party that they are leaving so that we can replace them. They cannot stand on the fence, but rather decide which side they are. Everyone is free to go anytime and anywhere so we shall not hold them uncountable if they leave,” Mr Nganda said. “Muntu and his team have left and we shall miss them but this does not mean that our struggle to fight the current government has come to end. We shall go ahead without strategies to have President Museveni removed from power,” he added. This website has also seen an October 1 letter in which Mr Mafabi is directing Mr Kyazze Kassim, the FDC secretary Makindye to hand over all party stamps and other materials. “The party has been notified of your quitting of FDC. We appreciate your time with us and wish to inform you to hand over all the materials in your possession out of which include though not limited to; chequebook, office-stamp 3, 4 desks, 12 cups, 3 office chair, 2 tables, office files and any other important party documents in your possession. Therefore, I call upon your cooperation as you hand over to the Makindye chairperson Rizito Livingstone and witnessed by Ms Nabayozi Geri Regional Officer, Central by October 2018,” the letter reads in part.